Judaism affirms that God made use of two methods of communication in order to transmit the truths of Judaism from one generation to the next; the written text and the living communication of parent to child. These two methods of communication complement and support each other. It is only when we absorb the message through both of these mediums of communication that we can arrive at a proper understanding of God’s truth. Some of Judaism’s detractors attempt to invalidate the second method of communication; the living transmission of parent to child. These critics of Judaism argue that the written text; i.e. the Bible, is God’s word, and as such is reliable and trustworthy, but the living transmission is only words of men. Why should we rely on the words of men? What indeed is the basis for the Oral Law? If we examine the Bible itself, we will see that this criticism of Judaism does not get off the ground. Those who dispute the validity of the Oral Law assume that the Five Books are the basis and the foundation for the Law. They understand that the written text comes first. When these critics approach Israel’s claim for an authoritative Oral Law, they see this as a claim for a supplementary code, one that is authorized to define and to interpret the written word. These critics contend that if there is a valid code of Law that supplements the text, we would expect that it should have been mentioned in the text. The facts though are exactly the opposite. It is not the Oral Law that is a supplement to the Written Law, it is the Written Law that serves as a supplement and an augmentation for the Oral Law. The Five Books present themselves as something that came after a complete body of Oral Law was already firmly established. Throughout the Five Books of Moses we find that God communicated with Moses and Moses, in turn, communicated with the people – orally, without any written medium. Deuteronomy 1:18- Moses reminds the people: “I commanded you at that time (at Horeb) all the things that you are to do”. These conversations between God and Moses and between Moses and the people of Israel are the basis of the Law. The format of the text of the Five Books fully confirms this basic truth. The Five Books do not present themselves as an independent legal text. They are written in the format of a narrative, with various laws woven into the narrative. In other words; the Torah does not read like the constitution of the United States which simply sets down an arrangement of laws. Instead the Torah records the conversations in which God commanded Moses one law or another. Sometimes the Torah may record a lengthy series of laws, but always in the narrative setting of a God talking to Moses (as in Leviticus 1:1-7:38) or Moses talking to the people (as in the book of Deuteronomy). The usage of the narrative format confirms the significance of these conversations as the basis of the Law. Furthermore, these narratives are not written in a way that would indicate that every last word of the conversation was included in the written record. In fact the opposite is true. It is actually clear from these narratives that they are not literal, word-for-word records of these conversations. The first example of such a narrative conspicuously highlights this truth. In Exodus 12:1-20 we find a narrative that tells us what it was that God said to Moses and Aaron concerning the Passover offering. Verses 21 thru 27 of the same chapter record Moses passing on this same commandment to the elders of Israel. The words of these two narratives (God to Moses – Moses to the people) and the structure of these two narratives are entirely different. Each of these narratives contain elements that are absent in the other one. There can be no question that these narratives are not meant to be a verbatim record of these conversations. The same pattern holds true every time the Torah presents both sides of the conversation; God to Moses and Moses to the people. In each instance the words are different and the details are different (e.g. Exodus 25:1-28:43 versus 35:4-29; Exodus 29:1-37 versus Leviticus 8:5-36). It is clear that these narratives are not literal records of every word that God told Moses or that Moses told the people. The fact that these narratives do not attempt to record every last detail of the conversations is evidence that the people possessed another, more complete record of these conversations, which can only be the record they retained in their memory. There is yet another way that the written text affirms the central nature of the Oral Law in Israel. The Five Books reiterate again and again the importance of passing on the teachings of Moses to the future generations (Exodus 10:2; 12:14,17,24; 13:8,14; 31:13,16; Leviticus 23:43; Numbers 15:24,38; Deuteronomy 4:9,40; 6:2,7,20,21; 11:19; 12:25,28; 30:2; 32:46.) Not once throughout the Five Books are we commanded to utilize a book in the personal process of passing on the teachings of Moses to our children. The process is described as one in which parents speak to their children – an oral transmission. When Moses exhorts the people to keep the Law and to pass it on to their children he is referring to a body of law that these people have absorbed through the medium of speech. When Moses refers to “all that I have commanded you” (e.g. Deuteronomy 30:2), he was not referring to a particular scroll that each individual Jew had tucked in his pocket. He was talking of a Law that lived in their hearts and in their minds. The children of that first generation of Jews were to receive the Law from their parents through the medium of oral communication. They were also to realize that the Law that they receive from their parents is the very same Law that God delivered to Moses and that it was God who established this medium of communicating with them. The written text, which was only presented to the Levites and the priests at the end of the 40 year sojourn in the wilderness, served to augment, to support and to corroborate the oral testimony of their parents. But the primary means of communicating the Law from generation to generation was and still remains; oral. Throughout the Five Books of Moses, mention is made of ten written documents. Not one of these documents was designated to play a role in to the personal process of parents teaching the practical observance of the Law to their children. Let us examine these Scriptural references to the various written documents and let us see what function these documents were to serve. The first reference to any written document is found in Exodus 17:14. Moses was to write a remembrance of God’s enmity towards the people of Amalek. This was not a text that was handed to every individual Jew. This was a national remembrance that was in the hand of the central leadership; Moses and Joshua. Furthermore, the text tells us that the written remembrance did not stand alone. Moses was to place the remembrance into “the ears of Joshua”. The communication was to be passed on through both mediums; the written text and the living transmission. The next reference to a written document appears in Exodus 24:4 where Moses wrote the ordinances recorded in the previous chapters. The ordinances of Exodus 21 – 23 were first presented to the people orally and only afterward were they written down in a book (Exodus 24:3,4). This book (the “book of the covenant”) is not mentioned again in the Five Books. At no point are the people directed to look in this book as a resource of reference for the observance of the Law. It is clear that the function of that book (the book of the covenant) was ceremonial and not practical. The next reference to a written document speaks of the tablets of testimony which contained the Ten Commandments (Exodus 24:12; 31:18; 32:15,16; 34:1,27,28; Deuteronomy 9:9,10; 10:1-5). The Ten Commandments were presented to the people through the medium of speech (Exodus 20:1). The tablets upon which the Ten Commandments were engraved were only given to Moses after his stay on the mountain (Deuteronomy 10:5). These tablets were eventually put into the ark that was placed in the holy of holies, which was accessible to no-one, but to the high priest, once a year (Exodus 40:20, Leviticus 16:2). It is clear that these tablets were not used for any practical transmission of information from one generation to the next. Another reference to a written document appears in Numbers 5:23. This passage describes how the priest is to write the curses on a scroll and erase this writing into the bitter waters which the suspected woman is to drink. It is clear that the only function of this scroll was ceremonial, and in no way did this written text function as a means of communicating information. The next reference to a written document instructs the King, as a public figure, that he must keep a Torah scroll with him and read from it constantly (Deuteronomy 17:18). (The wording of the aforementioned verse indicates that it is only the book of Deuteronomy that the king must copy for himself). This injunction is limited to the person of the king and is in no way related to the practical transmission of the Law from one generation to the next. The next reference to a written text appears in Deuteronomy 27:3,8. Moses commands the people to write the Torah upon an altar of rocks upon their entry into the land of Israel. In the book of Joshua we learn that this commandment was limited to the book of Deuteronomy (Joshua 8:32). This altar was used only once; on the occasion of the reading of the blessings and the curses as described in the book of Joshua. This was not the permanent altar in the Tabernacle, which was not on Mt. Ebal but rather at Shilo (Joshua 18:1). At no point does the Torah direct the people to read the writing on this altar and at no point are the people commanded to preserve this writing on the altar, which presumably faded with the passage of time. It is certainly possible and even plausible to assume that the people did read these written words. But in no way can it be said that this was their first encounter with the Law, nor can it be said that this altar served as a means of transmitting the Law from generation to generation. After the one-time use of this altar described in the book of Joshua, this altar is never mentioned again in the Scriptures. The first reference to the complete Torah scroll appears in relation to the imprecations of the covenant (Deuteronomy 28:58; 29:19,20, 26). The curses that will befall Israel if they disobey the Law are described as: “the imprecations of the covenant that are written in this book of the Law”. It is significant to note that the details of the curse would not be relevant to the practical day-to-day living of a Jew in his observance of the Law. It therefore follows that this information would require a written document in order to ensure its preservation. Again we see that the written document is not mentioned in relation to the practical observance of the individual Jew. The next reference informs us that the priests and the Levites were presented with a copy of the complete Torah scroll (Deuteronomy 31:9). As the guardians of the Law (Leviticus 10:11, Deuteronomy 33:10) these public servants would make use of a written text. But for the individual Jew, the Law that he or she heard from her parents was the primary method of learning the Law. The fact that Moses commanded that the Torah be read publicly once in seven years (Deuteronomy 31:11) does not mitigate this truth. The once-in-seven-year reading would do little to impart knowledge to the nation as a whole. 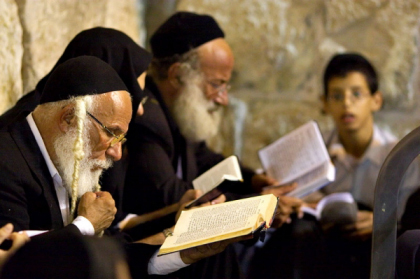 Hearing the Torah once in seven years can perhaps reinforce existing knowledge. It cannot be used as a method of teaching new information. 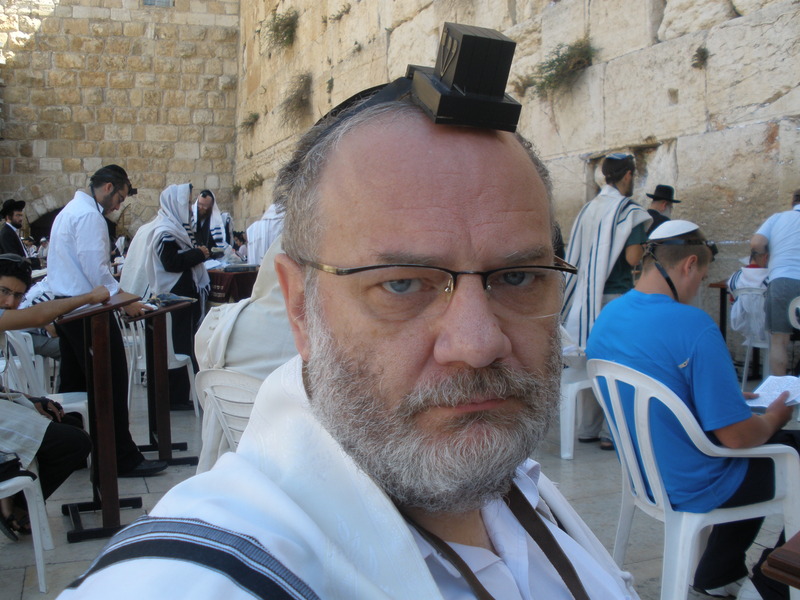 How can you expect a nation to follow a Law that is as complex as the Torah on the basis of having heard it read once, in the setting of a vast crowd, five years ago? It is clear and obvious that the people passed the Law on to their children as they heard it from Moses – orally. The public reading was a means of reinforcing the knowledge of the Law that they already possessed through the medium of the living transmission. Another reference to a written text tells us that the song of Moses (Deuteronomy 32;1-43) was to be written down (31:19). This written version of the song is presented as a supplement to the oral teaching of the song (Deuteronomy 31:30). The song of Moses is not related to practical observance of the Law. It is parallel to the “imprecations of the covenant” that would befall Israel if they were to disobey God’s Law. This particular document is also not related to the practical observance of the Law. The final reference to the written document describes how Moses presented the Levites and the priests with the completed Torah scroll. They were instructed to place it beside the Ark of the Covenant as a testimony against Israel. Here too, we see that this text was not used for the personal transmission of practical information from parent to child. Rather, this text was placed in a national setting (the holy of holies) and its main function was to keep record of the curses that would befall Israel should they disobey the Law. The Law of Moses, as it is described in the Five Books, remains for all practical purposes an Oral Law. When Moses makes continuous reference to “the Law”, “the commandments”, or “that which I command you” (e.g. Deuteronomy 26:16; 27:26; 28:1,14; 29:28; 30:2,11; 32:46), he refers to a body of information that his listeners carried around in their minds and in their hearts. When the Five Books declare: “Moses commanded us a Law, and inheritance for the congregation of Jacob” (Deuteronomy 33:4) – it is referring to an Oral Law that is the exclusive inheritance of the intergenerational community of Eternal Israel.